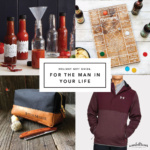 32 fun, amazing gift ideas for the men in your life! 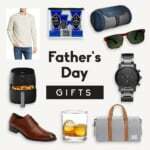 Whether you’re shopping for your husband, brother, boyfriend, dad, or best friend, you’ll find the perfect gifts for him in this guide from grooming kits to video games and everything in between. 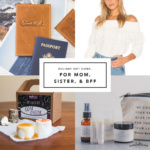 We’re officially kicking off AK Gift Guides of 2018! 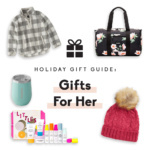 So excited to share all of these fun gift ideas with you this season. 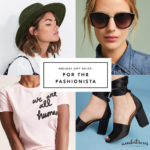 If you’re like me and like to get the shopping done early – you’ve come to the right place. In this first guide I picked out 32 awesome gifts for any of the men in your life. Shopping for that guy can be tough (do they even know what they want??) so I made sure to include a variety of gifts for him that he’s going to love. Tony and I actually made this one together, so you know this list is legit. 7. Primally Pure Mini Beard Oil Pack: all natural, travel sized beard oils to hydrate and manage the bearded men in your life! $22 **Use the code ‘AMBITIOUS’ for 10% off of your first Primally Pure order! 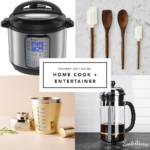 6 Responses to "AK Gift Guide 2018: Gifts for Him"
I’m so getting the tamale kit for my brother. Thanks so much for posting! 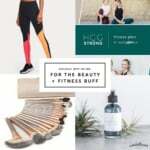 Well, none of these would work for my husband. I just recently donated a bunch of shoes he’s never worn that were “hip.” He’s not, and doesn’t care to be. Although we do have that card game! Happy Thanksgiving!